Hours that food donations can be dropped off are: Mon.8:30-10:30, Tuesdays 8-9:30 and 1-2 pm, 2nd and 4th Wed. 9-noon, Fridays 9-noon. Remember if Whitman-Hanson Schools are closed so is the Pantry. If you have questions, call the Pantry at 781-293-1400. The Hanson Food Pantry is in need of the following items: Cold Cereals ,Instant and Regular Oatmeal, Coffee, Tea and Cocoa, Canned Chicken and Tuna, Canned Spaghetti and Chili, Pasta and Rice Mixes, Spaghetti Sauce and Tomato Paste. Instant Potatoes, Canned Vegetables, Chicken Noodle, Cream of Chicken, and Mushrooms Soups, Chunky/Hearty Soups and Chowders, All Canned Fruits and Juice Boxes, Grape and Strawberry Jelly/Jam, Ketchup and Mayonnaise, Italian and Ranch Salad Dressings, Sugar, Flour, Baking Mixes, Crackers and Snack Food, Toothpaste and Toothbrushes, Deodorant and Shampoo, Bars of Soap, Razors, Laundry Soap and Dish Detergent, and Pet Food. Please check the expiration dates on your donations, We are not allowed to distribute expired food. Thank You! Food donations may be made at the Pantry during open hours (see above) or at drop off locations in the town of Hanson, which include the Post Office, Town Hall, Hanson Senior Center, Police Station, and Hanson churches. 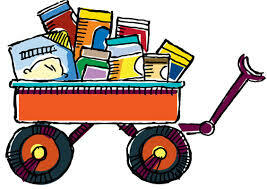 If food items are perishable, please contact the Pantry @ 781-293-1400 to make drop-off arrangements. The Pantry also accepts personal items such as shampoo, bar soap, disposable razors, laundry detergents, etc. If you would like to donate these items, we suggest purchasing them at your local dollar store.